Get ready sports fans! Super Bowl LI is upon us! Super Bowl Sunday is one of our favorite times of the year. We are annually tasked with hosting the family Super Bowl party. 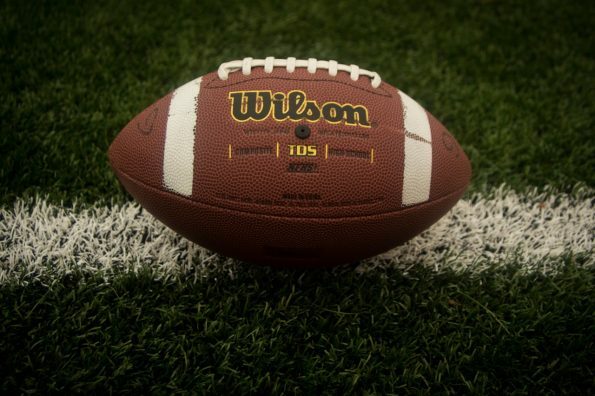 While we aren’t huge sports fans, we love hosting parties and what better an excuse than the big game! 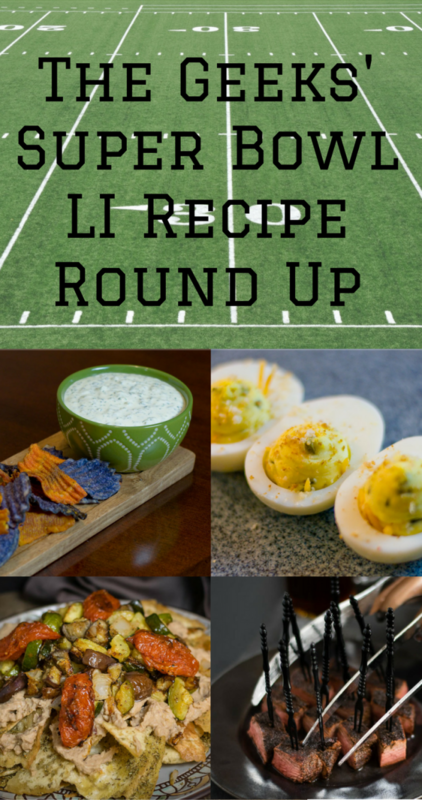 We’ve put together a few of our favorite recipes that we think are perfect for your Super Bowl LI party! When picking out our recipes we wanted to make sure that everyone was covered. Therefore, we have selected a dip, a vegetarian recipe, a vegan recipe, and a recipe perfect for the carnivore in your life. So let’s get started! Kale Poblano Dip– Not only is this dip delicious and jam packed with flavor, but it is also sort of healthy (thanks to fat-free Greek yogurt and Neufchatel cheese)! Kale is always popular at Geeks Who Eat Headquarters and this dip is definitely Kale Lover approved! 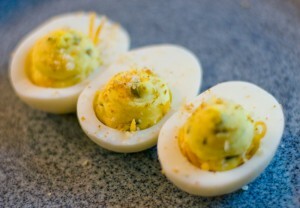 Diego Deviled Eggs– These deviled eggs were created as part of a contest for Hickman’s Farms. We didn’t win but the recipe definitely scored at last year’s Super Bowl Party. Given that the Chargers are no longer in San Diego, we may have to reconsider their name. 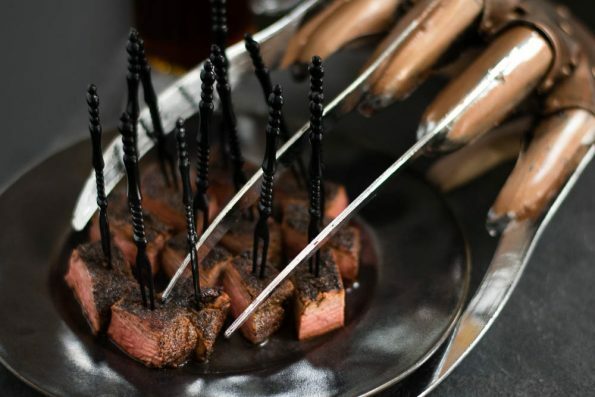 Never Sleep Again Steak Bites– So, these steak bites were originally a Halloween recipe. However, we felt that realistically this recipe is great all year! We suggest doubling the recipe because these will be popular amongst the meat lovers. We made them for a party and they vanished in less than 15 minutes! 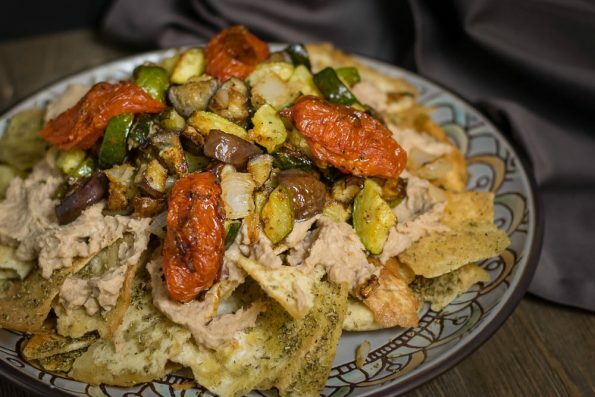 Roasted Veggie and Hummus Vegan Nachos– Nachos are always a hit at Super Bowl parties. This variation is perfect for your vegan guests. Topped with seasonal veggies and hummus, these aren’t your traditional nacho but they are just as delicious! 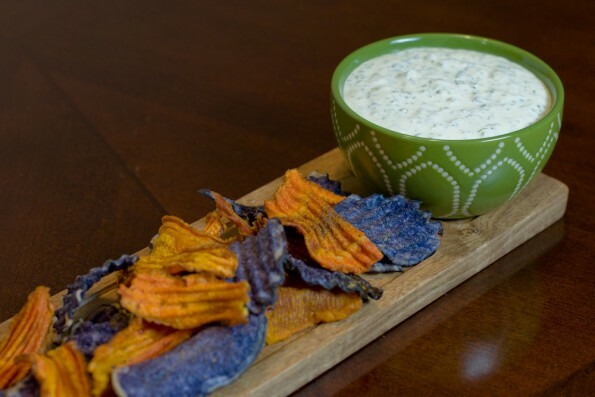 We hope these recipes help you throw a fun-filled and delicious Super Bowl party! What will you be making for Super Bowl LI? We want to hear about your food plans for the big game! Tag your photos with #GeekEats for a chance of having us share them on our Instagram!